Hunting for just the right envelopes? Rest easy. 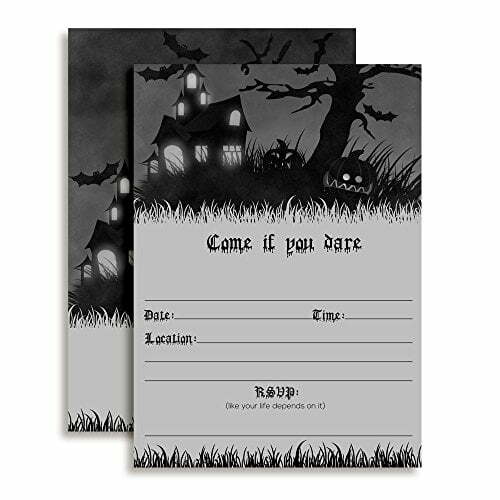 Your 20 Haunted House Party postcards come with 20 crisp white envelopes, perfectly sized to fit the cards perfectly. What’s more, you can count on these eye-popping invites for all-American craftsmanship: They’re designed, printed & carefully hand-packaged right here in the USA. To top it off, the complete set is fully backed by Amazon’s 30-Day Guarantee.